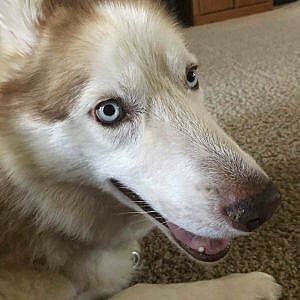 Written by Jordan Lucero on March 29th, 2019. Odds are, you’ve played a tower defense game. Maybe you’ve played Bloons Tower Defense, Defense Grid: The Awakening, or whatever else. 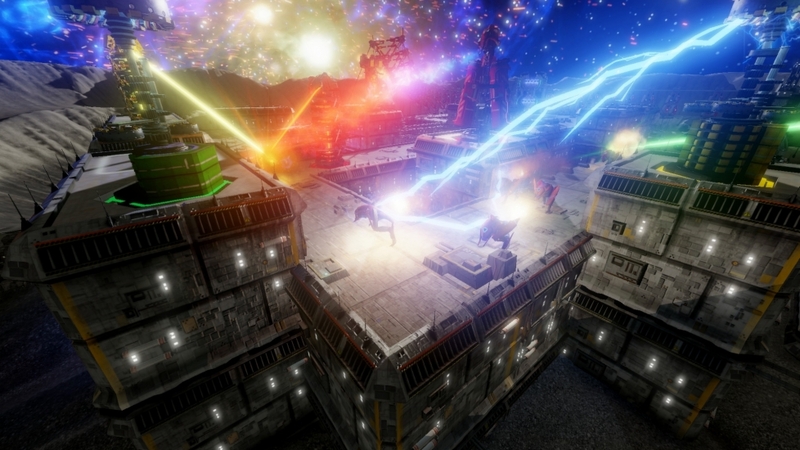 Defense Grid 2 isn’t just another tower defense game, it’s tower defense perfected. The most important part of a tower defense game is gameplay. Defense Grid 2 delivers. Like most tower defense games, not only is it simple and fun, but it’s great in both short bursts and long play sessions. You’ll get more resources the longer you stay in the game which you can use to build more defenses or upgrade existing ones. Later rounds could get hectic and challenging if you don’t have a good strategy, so resource management is key. There are special upgrades that you can unlock to get powerful abilities. You can only choose one per loadout, so choose wisely. 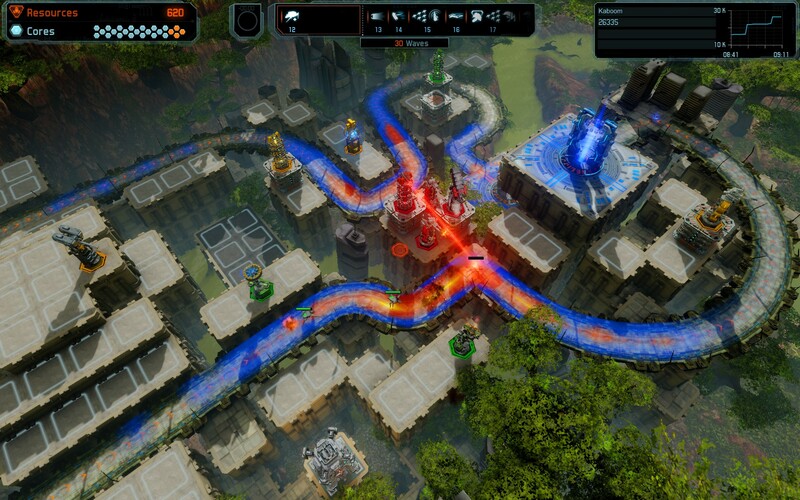 If you have already played a tower defense game, Defense Grid 2 will be super familiar! A first for the Defense Grid series and really for the tower defense genre, Defense Grid 2 includes a story that will keep you busy for a while. If you’ve played Defense Grid: The Awakening and its expansions you may recognize some returning characters! You’ll see Fletcher, Simon, and Cai return along with tons of new characters. When you start the campaign, Fletcher will explain the story. Aliens are attacking your bases and trying to get the power cores. So, you need to build defenses to protect your base. If you’re new to tower defense games or the Defense Grid series, the campaign is a great place to start and learn the basics of Defense Grid or tower defense. You’ll play through 21 levels, (26 if you have DLC) that were designed with care and insane detail. While that may not seem like a lot, levels can last up to 40 minutes, and as stated earlier, you can jump in at any time for a short burst or long session. There are four difficulty levels, so Defense Grid 2 works for you, experienced or new. As you progress in the campaign, you’ll unlock new content including towers and further upgrades. Defense Grid 2 has graphics that get the job done. They aren’t ground-breaking, are a bit too bland, and can be an issue at times. If you’re playing on a smaller screen, like in handheld mode on Nintendo Switch, it can get hard to tell what’s going on and the camera can be a bit aggravating at times. One area where Defense Grid 2 shines is in its controls. Just like the rest of the game, they are simple, easy to learn, and become second nature in minutes. Defense Grid 2 also features high-quality voice acting in English, French, German, and Spanish. You’ll hear it in story mode and it can be turned off at any time. One thing you won’t want to turn off is the music. Many people love the battle and menu themes! Defense Grid 2 is much more than the single-player campaign. New to the series is a cooperative multiplayer mode. You can play through story mode locally with one friend or defeat enemies together on a challenge map. There are tons of customizable elements that you can choose from on challenge maps, like a fixed amount of resources, 100 waves, a limited amount of towers, and much more to make the challenges more difficult. Defense Grid 2 has a few additional features. You can access the worldwide leaderboard to compare your performance with others or work to earn some in-game achievements. These don’t really do anything but are fun little extras. Other than a few general settings that all games should have, like subtitles and volume, there isn’t much else to mention. Defense Grid 2 does have a few flaws, but that doesn’t mean that it’s not good. It is! Defense Grid 2 provides hours of simple fun, for a great price. If you’re a fan of the tower defense genre, it’s worth a shot and every penny. Again, it’s tower defense, perfected. There’s tons of care and hard work packed into Defense Grid 2, and it shows. Give it a try! You won’t regret it. Gameplay: Defense Grid 2 provides one of the best tower defense experiences available. It's simple and easy to pick up and play, and tons of fun. Story: Aliens are trying to steal your energy cores. The story is a fun and simple experience, perfect for new players. 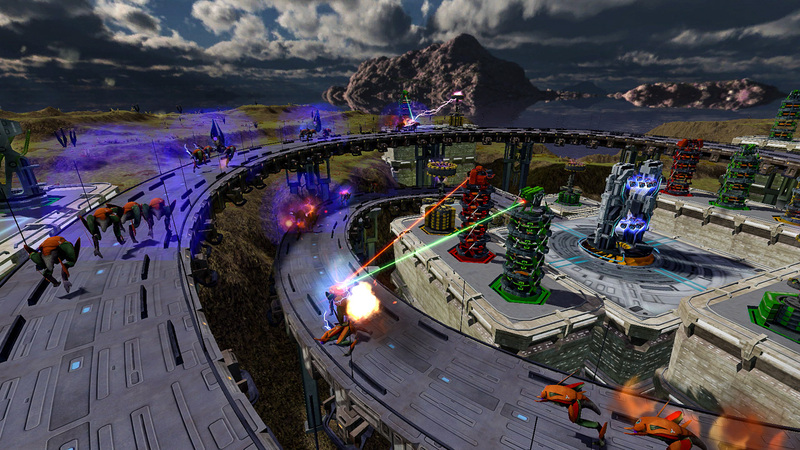 Multiplayer: Defense Grid 2 features multiplayer, a first in the series. It gets hectic and is an enjoyable time. Controls: Like many tower defense games, this one has insanely simple controls that make it easy to jump right into. Graphics: Graphics could be better, but they get the job done. Final Rating: 7.5/10. Defense Grid 2 is a fun time that everyone can enjoy. It's simple and plain fun. Tower defense has been perfected yet again. Defense Grid 2 provides the best tower defense experience yet.